Arrange for a house sitter / check your home insurance. The best scenario is to not leave your house unattended. There are many sites, besides recommendations from friends, where you can find reliable and trustworthy house sitters (paid and unpaid). This is important in the event of weather damage or to reduce the chances of a break in while you are away. There is also the option of using a property management service that will check up on your home and do other tasks such as water plants, etc. Financial security. Before leaving, advise your bank and credit card companies as to the dates you will be away and where you will be located during that time. This reason for this is two fold; #1 The banks are now vigilant to any activity on your account that’s coming from another country and; #2 Your cards will be accessible to you when you go to use them. Most financial institutions have excellent monitoring systems that immediately alert you and/or freeze your card if they see any suspicious activity happening in your account. Personal identification. Ensure that your passport’s expiry date is more than 6 months into the future. Some countries, Mexico included, will not allow you entry if your passport is about to expire. Make copies (either hard or electronic) of your passport, travel visa and any other identifying documents such as Nexus cards, etc. Keep these copies in a secure server on “the cloud”, attached to an email that you have sent to yourself, or with a trusted relative or friend. There is nothing worse than losing your documentation and not being able to provide the necessary information to expedite the process. If you are a married couple travelling together, take your apostilled / notorized birth & marriage certificates along with you. In the event of you or your partner’s sudden demise in Mexico, these documents may be required for the release of the body. Cash, Credit Cards & ATM’s. What forms of currency to take for your spending is a common question I get asked. My routine is get a few pesos at my home airport’s Currency Exchange kiosk (about 800) so that I have some cash to get me going when I arrive. After that I use my debit card to withdraw pesos from a major bank’s ATM (I avoid the “white machines” as they can be sketchy). When using a major bank’s ATM system, you are perfectly safe to withdraw cash for spending this way. It is actually to your benefit to use this method because the exchange rate will be calculated through your home bank and not the local rate which is normally more costly. The majority of ATMs in tourist areas have English language options. NOTE: Most ATM’s charge withdrawal fees ranging anywhere between 25 – 80 pesos ($1.50 to $4 US) which will be ON TOP of whatever your home bank charges you. Attention Canadians: If you bring Canadian dollars to Mexico and want to exchange them, they are first converted into US dollars and then into Pesos, potentially creating a loss for you. If you must bring cash and don’t want to use the ATM, bring US Dollars instead. As for Credit Cards, depending on the area you are staying in, they are not always readily accepted for payment. In Mexico, CASH is still king! Major hotels and some larger restaurants / stores are the exception. WARNING: Credit card scams can be more prevalent in tourist areas, so keep an eye on your spending by checking your transactions online regularly and being careful about where you use your card. Travel Itinerary and Emergency Contacts. Make sure your loved ones know your travel itinerary before you leave and notify them when you arrive safely. Also agree with them on a method of communication that best suits you. Some people chat back and forth on Facebook quite often but not everyone uses or is comfortable using that media. Perhaps you prefer email. Either way, just make sure you have your loved ones contact info and they yours and keep in touch! Most importantly (especially for those travelling alone), always carry on your person an “EMERGENCY CONTACT” information card. A small card with English on one side and Spanish on the other will assist if anything were to happen to you and you couldn’t speak. Travel Protection / Medical Insurance. Don’t leave home “naked”! That is the term used for travellers that travel without purchasing any travel or emergency medical protection. If part of your travels to points south involve going through the USA, this is of particular importance. The web has endless amounts of news reports about near bankruptcies when a medical emergency occurs outside your home country, so don’t let it happen to you! There is a clear distinction between travel protection programs, air evacuation plans and expat medical insurance. 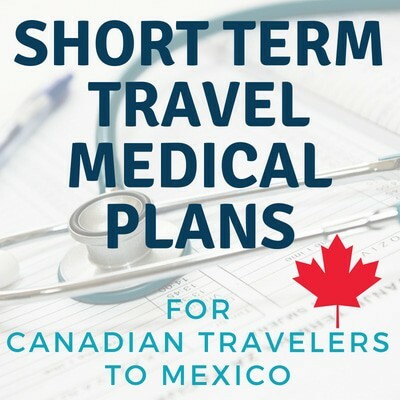 In Canada, the travel insurance industry is going through a practice review but changes to how products are marketed and disclosed have yet to be legislated…so, buyer beware. To learn the basic differences between plans, click the following link for a short video… “Understanding Your Travel Protection Options” AND ALWAYS CHECK THE FINE PRINT IN YOUR POLICY! 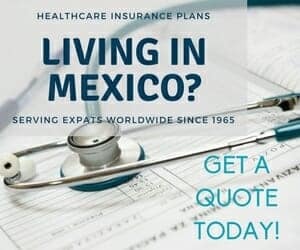 For more information and to purchase a travel protection plan, head over to www.mexicoexpathealth.com where you can get a quick quote as well as more information. Prescriptions. If you are on prescription medication, bring along a copy of your prescription. While not all pharmacies require this paperwork, it is always best to be prepared if they ask. 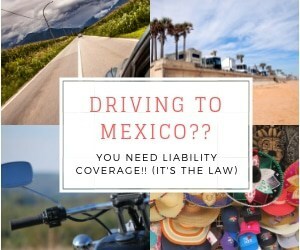 You will find that some medications in Mexico are less expensive while others can cost the same as up North, so there is no set rule. However, many things that normally require a prescription up North are easily purchased across the counter. As for prescription eyeglasses, here is where you can find significant savings! Progressive, trifocal and transition lenses are much less costly in Mexico. On the flip side, bring a sufficient supply of contact lenses as these can be relatively expensive. Cell Phone. Cell phone options are numerous and very inexpensive in Mexico. You can easily pick up a basic “pay and talk” style phone with a SIM card and a starter amount of minutes for about $25. Reloading the phone with minutes is easily done at various stores around town. However, if you’d rather bring your own phone from home, ensure that it is “unlocked” and will accept an out of country SIM card. Then all you have to purchase is the SIM card itself which runs about $15 and this will give you a local phone number to use. In Mexico, ALL incoming calls and texts are FREE and outgoing text rates have very nominal rates. So there’s no reason you can’t easily communicate with your new found expat and national friends. An alternative is to have a special optional plan added to your home cell phone for the time you are in Mexico…check with your cell network provider to see if there is a cost effective option available. Some things not readily available (or hard to find) in Mexico...and you may want to bring them along. Here’s a sample of items: Licorice (non-existent); dark chocolate (milk chocolate prevails); coffee cream; real butter (I buy imported butter from Denmark. It costs up to 3x’s as much as the local butter but tastes like what I am used to); orange pekoe tea such as Tetley or Red Rose (For us Canadians, this is like gold down here and I have yet to find it locally. Herbal teas abound, so no problem there. ); English language magazines/books. As the number of Canadians and Americans moving to Mexico on a more permanent basis increases every year, businesses supplying them with their familiar items are popping more each year. In the meantime, the online shopping giant, Amazon, is an excellent place to source out items you may be missing or can’t do without. Their delivery to Mexico is amazingly reliable and quick. In the end, positive attitude and an open mind are the MOST important things to bring with you when travelling to ANY foreign country. Remember that you are in a different culture and while things may look and feel unusual or uncomfortable at first, with a friendly demeanour and an open mind, in no time at all you will start feeling that you really have arrived “home”. If you’d like to receive a PDF copy of this list via email, Click here! Next story What’s Your Plan? Previous story Madrigal’s Spanish Magic! Definitely spices, especially anything related to Indian curries, Thai curries, or Chinese food. Powdered cayenne, cinnamon, coriander, etc. I was surprised at how difficult it was to find coconut oil. I really miss fermented foods, especially apple cider vinegar and pickles. One important thing is that it is illegal to take dog food into Mexico, which is s huge problem if you want healthy food for your dog or cat. Purina pet foods dominate or monopolize and I simply will not touch that toxic product. Canadian-made pet foods are the best in quality and ethics, so I try to sneak some in but sometimes get caught. I would not advise taking any food in your carry on. It is all taken and thrown out. Last spring I was stuck in immigration while they fiddled with the papers for my dog—and I saw huge containers of bananas, sandwiches, fruits, fresh snacks, lettuce, meat taken from incoming passengers & all being thrown out. Even dog snacks are taken away. It’s an awesome blog, Thanks for sharing with us. Yes, Judith, you’re right! I have noticed that the retailers have begun bringing in more and more of our “favourite things”. Our MEGA store here did the same. Now if they would only bring in HP sauce, lol! This is a great blog! I’m glad to have found you on FB!! And Canadian perspective, too, which is so valuable to us Canadians. We are planning on our retirement there in GDL area, am planning what to bring along as I cook lots of Chinese/Asian food. I was looking especially hard at ingredients last time we were vacationing. My question is: the custom won’t confiscate my sauces, etc will they? I tried bringing a few packages of sealed beef jerky for a friend and they got confiscated! Pretty expensive mistake!! If your sauces are dry packed there should be no problem. The least likely things to be allowed in will be milk based products, meats (including dried) and any type of fruit. Bringing in canned items is not normally a problem. I’ve brought HP sauce and had no issue, so some liquid sauces may be fine. But having said that, I know that Liverpool (a large retailer like The Bay or Nordstrom) carry an “imported foods” section and I was able to find a very good variety of sauces and Asian foods there. Also, bring licorice if you like that sort of thing! There is no where to find it down here! If you discontinue your car insurance for some extended period, then when you return home the insurance company deems you a new driver and charges you accordingly. You may be able to find most of these, but some are 2-3 times the price in Mexico or you could spend days or weeks searching. Quality dark chocolate, canned smoked oysters, canned salmon, canned kippered herrings, good cheddar cheese, horseradish, peanut butter, Hoisin sauce, oyster sauce, fish sauce, A1 and HP sauce, maple syrup, black licorice, molasses, Marmite. Great addons! I would also include wall calendars (12×12)…the kind that drug stores, insurance agents and other businesses give away. Great for posting activities on them. I wouldn’t suggest anyone’s bringing chocolate to Mexico. Mexico invented chocolate and theirs is some of the best! Yes, you’re right, they certainly did! But the rich dark chocolate bars (70% coco) I’m used to in Canada are a little more difficult to find. Last February I took a couple boxes of dark chocolates to Mexico for gifts and they loved the taste of them. The big hit they loved was pure Maple Syrup. I was thanked many times for this treat. Mexico has nearly no high quality dark chocolate like Lindt. I think you can find everything in Mexico, it’s just about to search. Like you write it, it’s Mexico is a small town. We have some natural markets: Slow Food for instance. You can find there a very good natural peanut butter in a reasonable price, and different kinds of natural food. The link for Mexico Insurance Online took me to an affiliate login screen. Is there another url for the general public? Hi Leslie…Yes, sorry, the link was not added properly. I have now corrected it but you can CLICK HERE and it will take you to the correct page. HP Sauce and lots and lots of Smarties! Also chicken and beef broth! Yes! Hooray for HP Sauce fans. I had a friend of mine bring me down the COSTCO size. And as for the broths…they have a lot of chicken type broths, but low salt options don’t seem to exist and trying to find beef broth (OXO) is difficult. I’m coming down next month, I’ll see if my mom has anymore of her famous homemade HP left and I’ll bring you a jar. It’s pretty awesome! ground horse radish,whole cranberries,some spices,buttermilk powder, most other things are available in Mexico or a substitute is available. I’ve read you’re not allowed to bring spices into Mexico — is it just the luck of the draw whether you get away with it or not? Or are certain entry points more lenient on things like that than others? Hi Leslie..Yes, you can bring spices and dried things in but seeds for planting are a big No, No. As for points of entry, you’re right, sometimes it’s the luck of the draw as to how they will understand/interpret the import laws. this year i am taking my international coffee vanilla coffee cream. also i take tea tree oil and put some drops at the threshold of the door and windows- i hear it keeps bugs out, don’t know for sure but it’s worth it. also, peanut butter-i find pb very expensive in Mexico and i like the organic one.